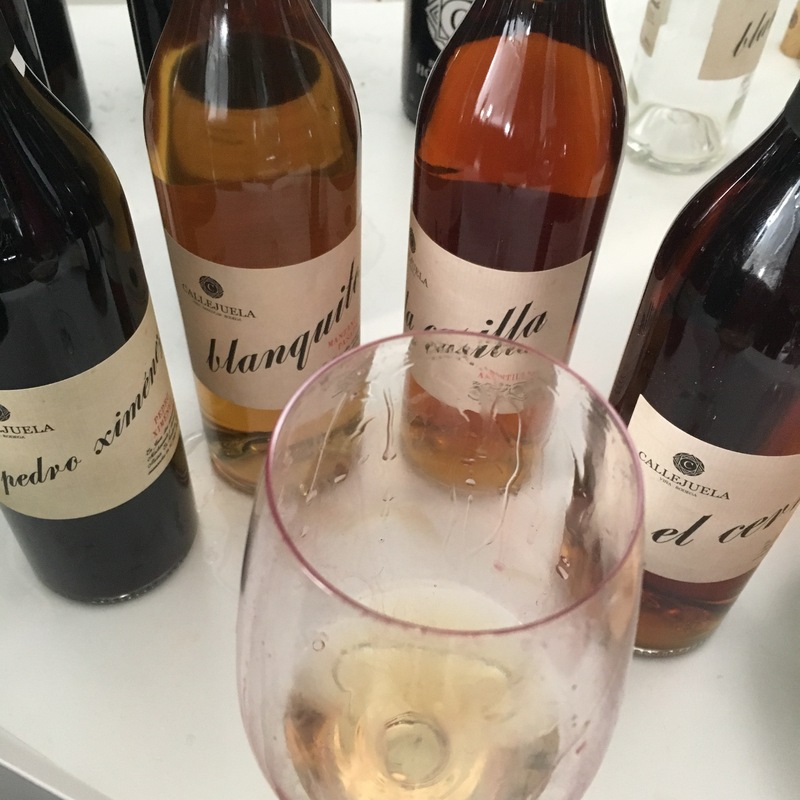 For me today’s Feria started and finished at the stand of Callejuela Vinos – but whereas I started with their newest, as yet unreleased project I had to finish with these old beauties. I utterly failed to take note of saca dates and any other kind of technical detail but the wines were as class as I remembered: the sharp, roast apple and salt and pepper Blanquito; the sleek, bitter-dry caramel Casilla; and the most elegant of olorosos – fine at both ends and nutty and juicy in the middle – El Cerro. Fantastic to try them again – and to try them together too.